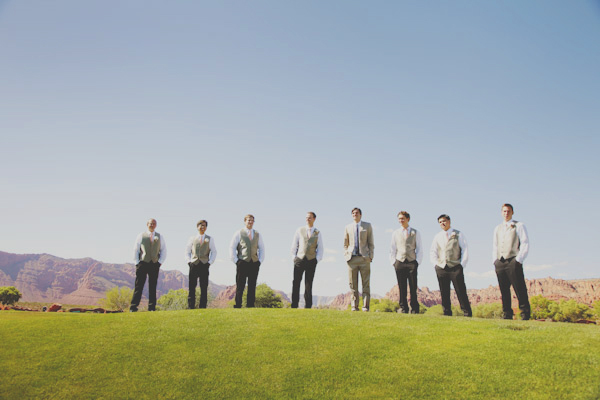 I am often the photographer at weddings at Entrada Golf Course in Saint George Ut. 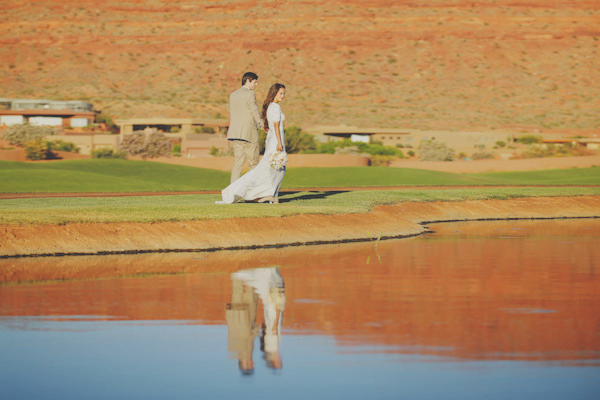 When searching for wedding photographers in the area couples want someone who will capture the amazing surroundings of Southern Utah as well as all that Entrada has to offer. 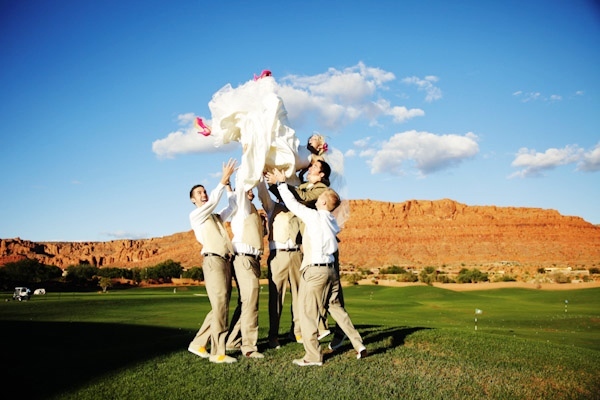 Entrada Golf Course is the perfect venue for a Southern Utah Wedding. Minutes from downtown Saint George Utah, Entrada at Snow Canyon Country Club is absolutely beautiful. 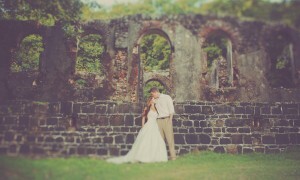 It is world renowned for its amazing golf course but is also the perfect wedding venue. 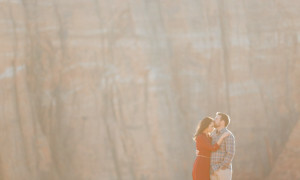 Photographing weddings at Entrada is always a treat. 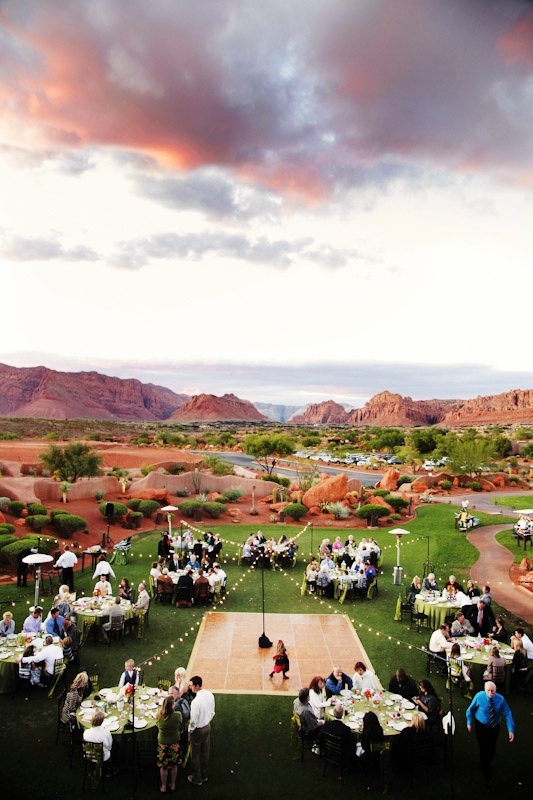 Entrada offers on-site lodging which is perfect for the out of town destination wedding as well as on site catering. 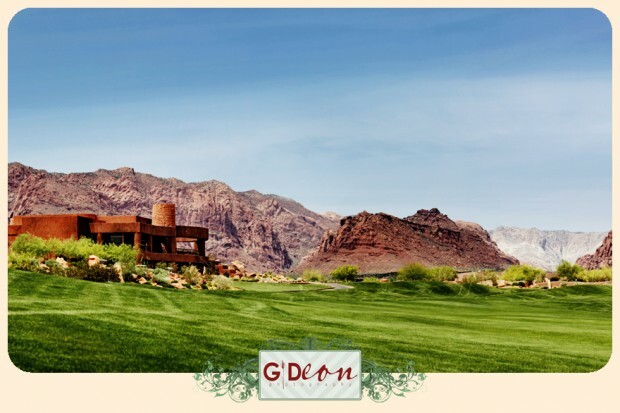 Their food is some of the best the Southern Utah area has to offer. 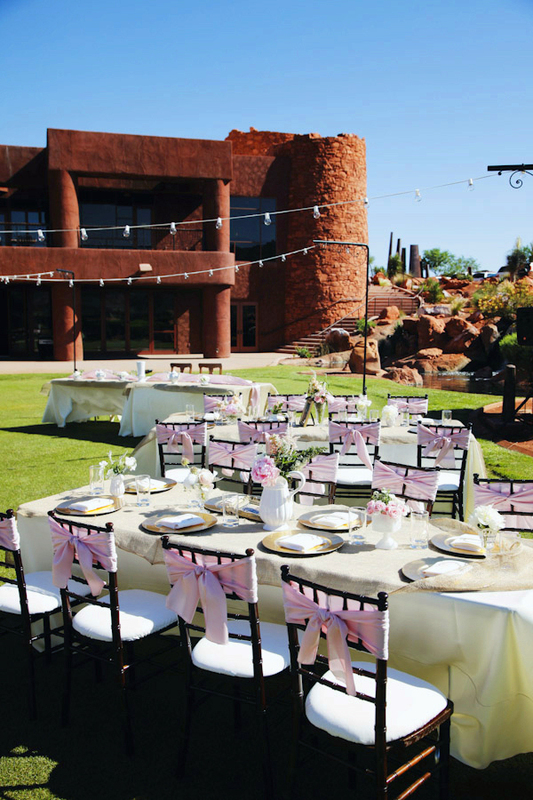 Entrada’s banquet area offers flexible space that can be converted to smaller meeting rooms or one large ballroom. 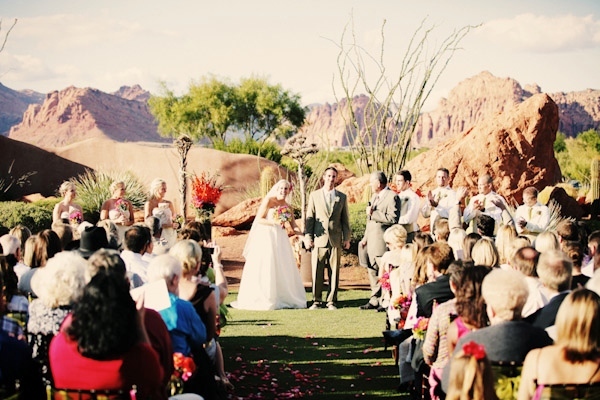 The lawn outside surrounded by beautiful waterfalls and ponds is the perfect spot for a ceremony or your outdoor reception. 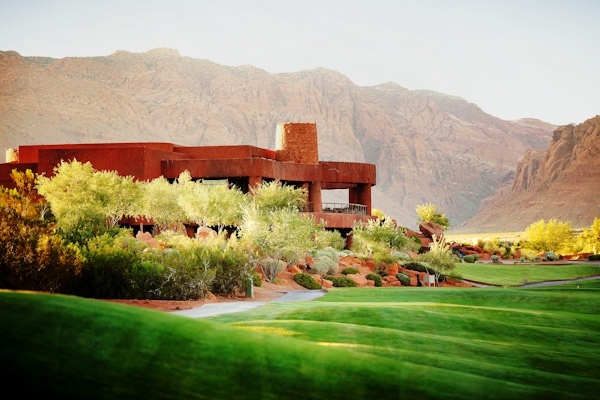 Each area has expansive glass doors that offer panoramic views of cascading waterfalls, ancient lava flows and red rock vistas; the perfect backdrop for any occasion. 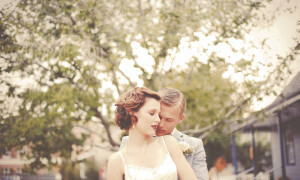 Entrada’s culinary services are artfully and tastefully prepared by Le Cordon Bleu trained Executive Chef, Tony Olesh. 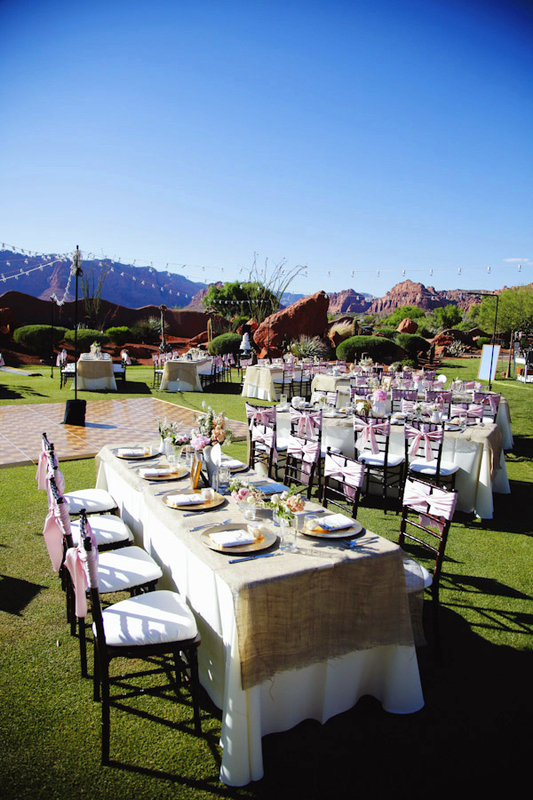 Entrada’s catering menus offer a broad range of choices from Hors d’ Oeuvres to five course meals, whether you’re considering a meeting, business dinner, luncheon, reception or golf event we will be delighted to arrange a consultation with you to coordinate an event you and your guests will always cherish. 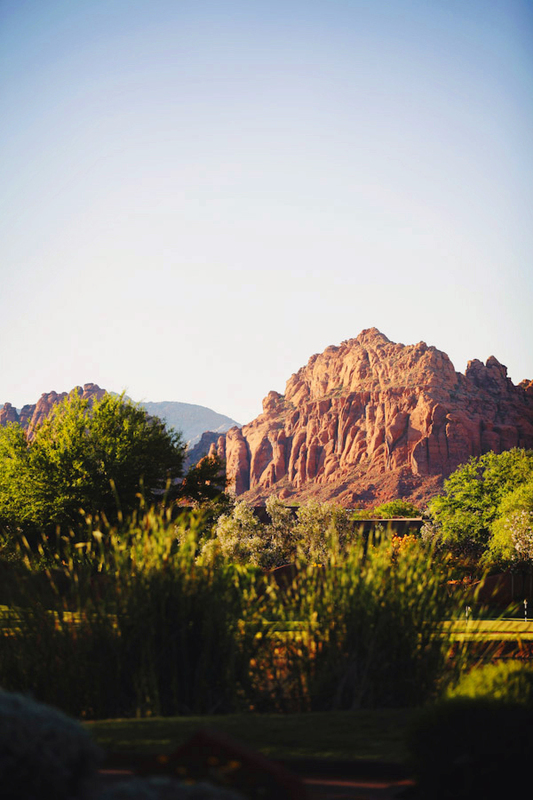 If amazing views of red rock mesas and Snow Canyon Sate Park in the distance is appealing to you, then look no further. 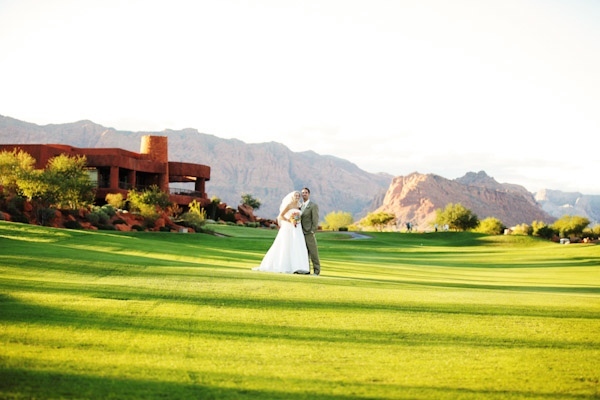 The beautifully manicured golf course surrounded by black lava flows makes for a unique and beautiful backdrop for any wedding. 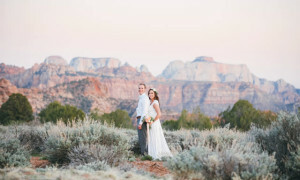 Southern Utah is an amazing place to have a wedding, and Entrada just outside of St George brings all of the beauties that Southern Utah has to offer.